This month’s mocktail recipe, the Pink Grapefruit and Orange Cooler, is from Bartender Max Prashad. You’ll need a 12oz highball glass and a bar spoon. 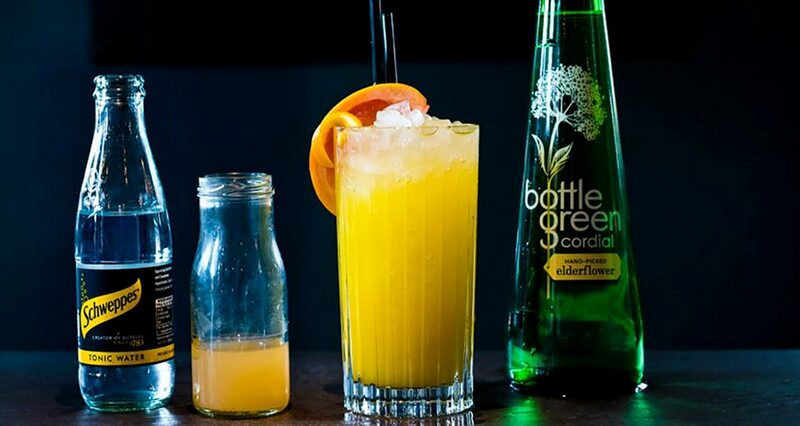 – Add the elderflower cordial, pink grapefruit juice and orange juice to a 12oz highball glass. – Fill about two thirds of the glass with crushed ice and mix with a bar spoon. – Top with tonic water. – Garnish with a wedge of pink grapefruit and an orange twist.